The temporomandibular joint, also known as TMJ, connects the condyle of the lower jaw (mandible) with a socket (fossa) of the temporal bone on the side of the head. Pain in the chewing muscles or jaw joint is the most common symptom of TMJ/TMD issues. You also may experience radiating pain in the face, jaw or neck, jaw muscle stiffness, limited movement or locking of the jaw, painful clicking, popping or grating in the jaw joint during movement, or a change in your bite. 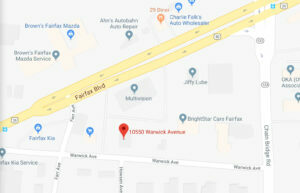 A visit for evaluation, and potential follow-up visits. 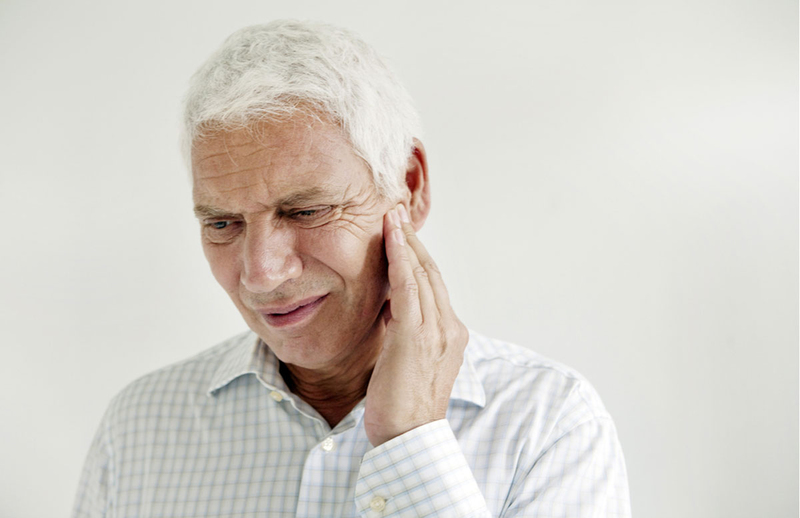 Depending on your history and symptoms, your prosthodontist may recommend a stabilization splint or bite guard to treat your jaw pain. 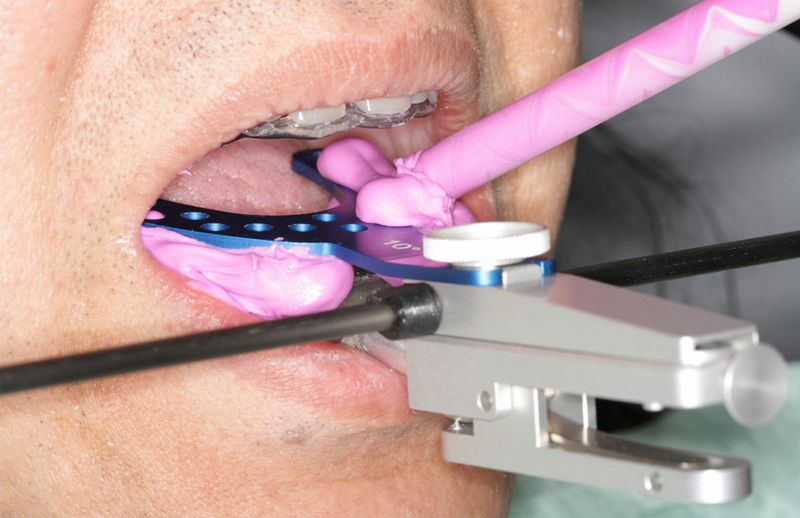 This custom-made plastic device fits over the upper or lower teeth. Stabilization splints are the most common treatments for TMJ/TMD pain and dysfunction. 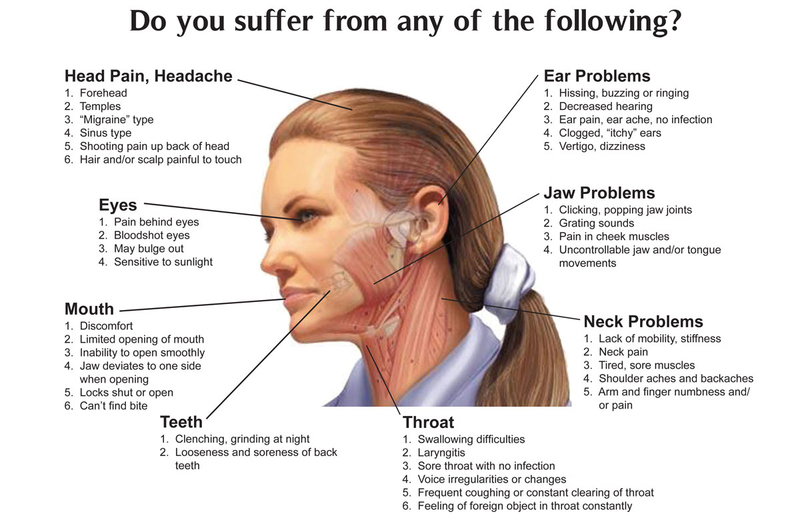 You are experiencing common related problems such as chronic headaches, ringing in ears, or pain behind the eyes. Want to learn more about TMJ/TMD treatments?